The north and west coasts of Scotland are dotted with islands, many little more than rocks strewn in a cold and stormy sea. These are windswept places: landscapes scoured round and smooth by time, glaciers, and ocean winds. 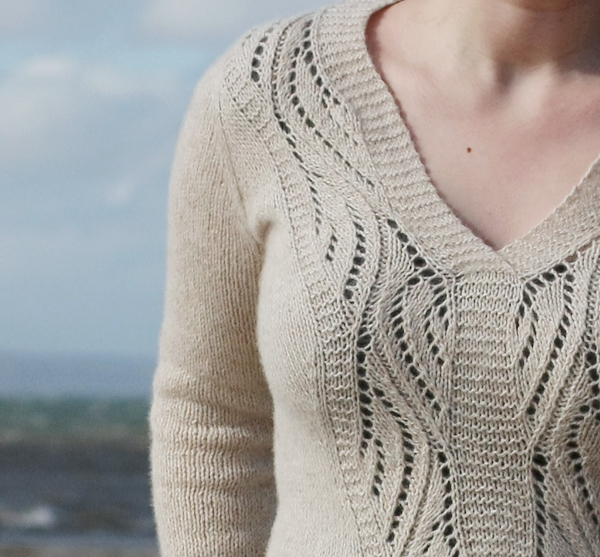 This pullover features a lace panel inspired by this wave-battered landscape, knit in a yarn dyed on the Isle of Skye. 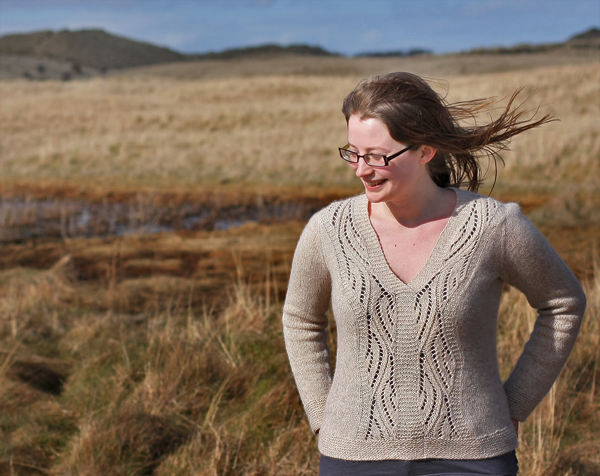 The windswept pattern is available as an individual pattern download, or as part of Handmade in the UK. notes This pullover is knit seamlessly from the top down, beginning with the collar. Lace stitch pattern is charted.